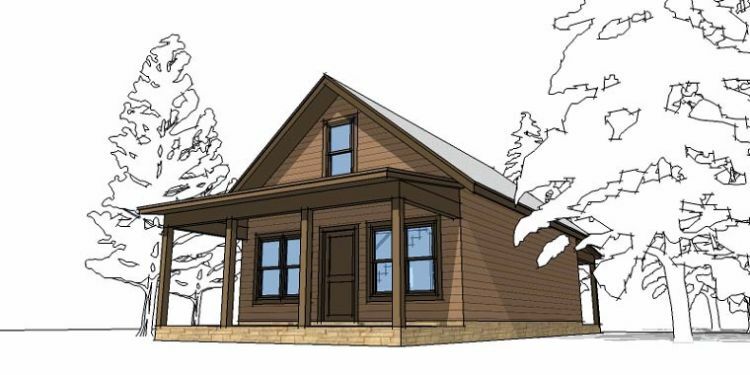 Part of what attracts people to tiny homes is their efficient use of space, and floor plans for narrow lots are the most efficient of them all! 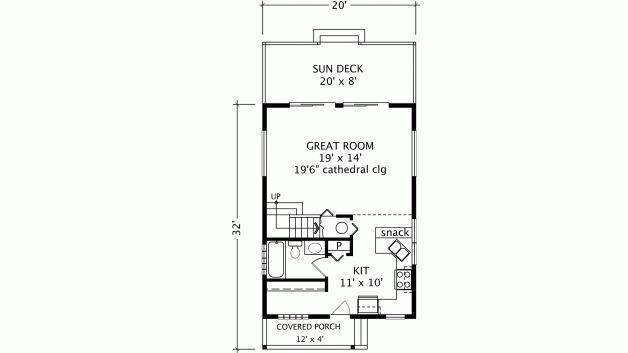 In fact, designs created for narrow lots often have a tendency to be tiny without even trying. You don't have to sacrifice anything you want in your home to build on a narrow lot, but you do need to choose your design carefully. 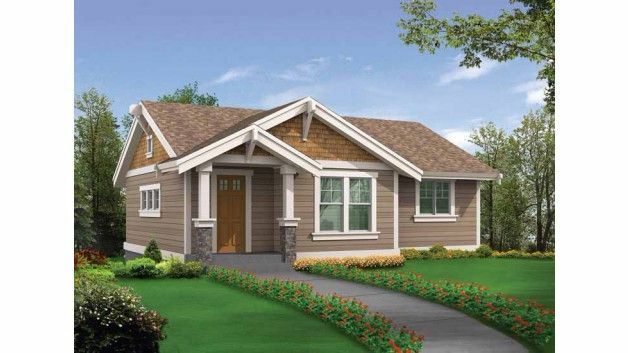 Plenty of styles are available - check out these floor plans for some inspiration! 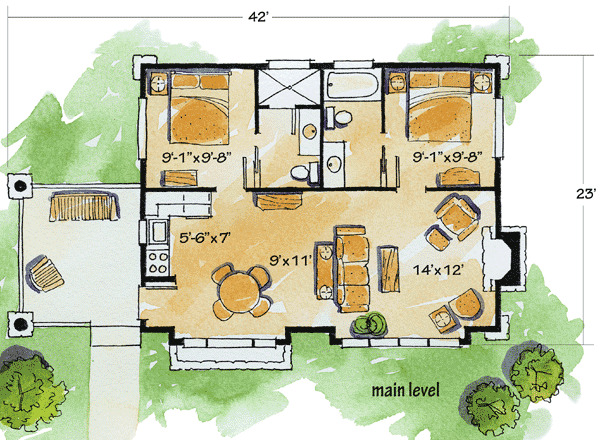 Measuring 796 square feet (74 square meters), this design from Floorplans has a spacious sundeck out back as well as a small covered porch in the front. Enter the home through the kitchen, which features an eating bar and a pantry. The bathroom is found right off the kitchen, and it has a tub right by the window. 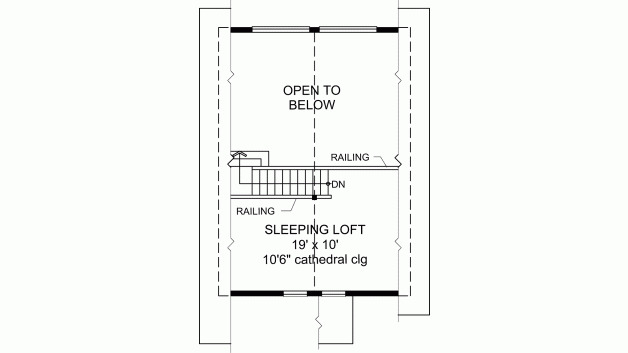 The sleeping loft upstairs has lovely cathedral ceilings and is open to the spacious great room below. At 840 square feet (78 square meters), this home from ePlans is accessed by climbing a small flight of stairs and passing through a set of French doors. The two-story great room features a huge wall of windows that fill the room with natural light, and the upstairs sleeping loft has a vaulted ceiling that makes it feel nice and airy. 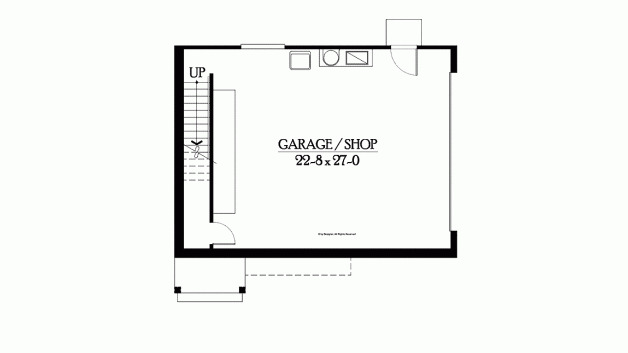 The kitchen and bathroom are located under the loft, as is an eating bar and some handy storage shelves. 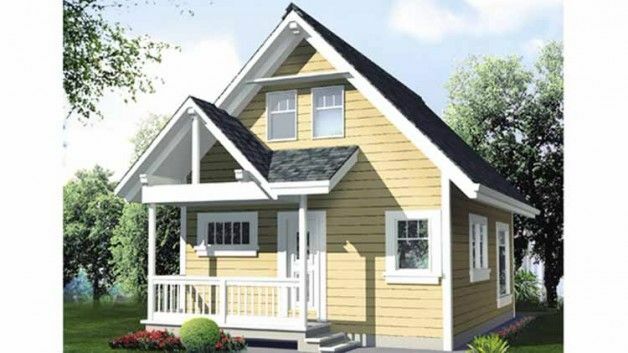 This adorable little cabin from Family Home Plans measures 860 square meters (80 square feet), and it's perfect for either a couple or a small family. 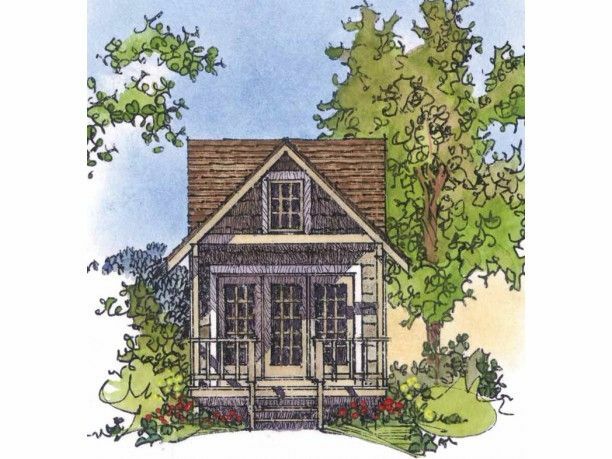 Porches at both the front and back of the home provide plenty of outdoor living space. An open concept living room, dining room, and kitchen take up the front half of the home, while a bedroom, bathroom, and storage room can be found in the back half. The loft upstairs provides flexible space that can be used as a second bedroom, a media room, or even a home office. 4. 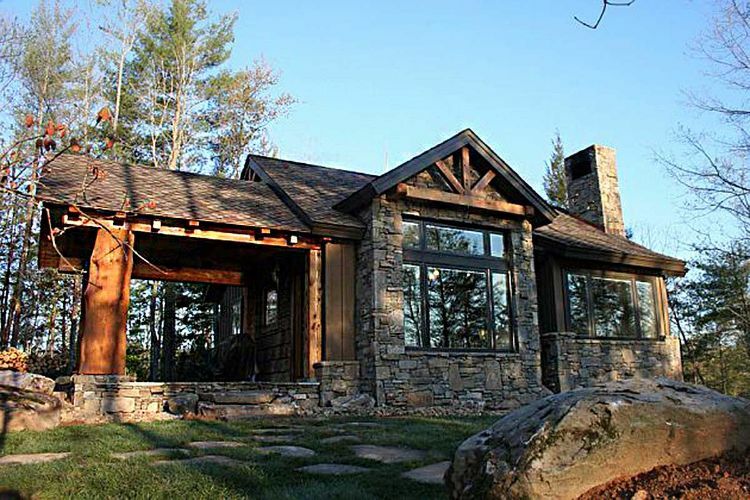 Charming mountain home from Architectural Designs. 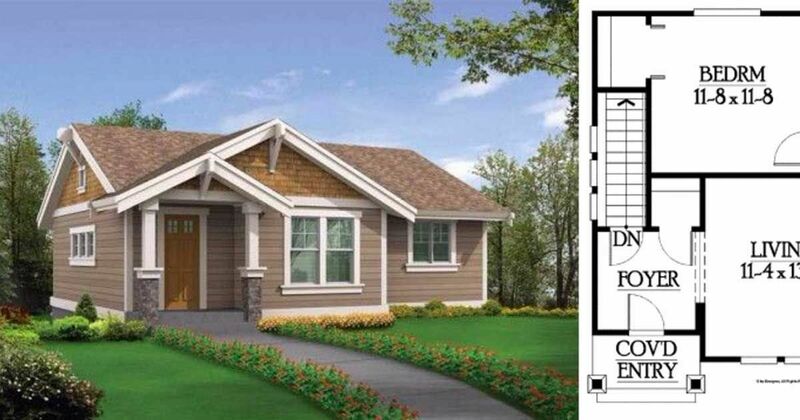 Measuring 681 square feet (63 square meters), this two bedroom plan from Architectural Designs is perfect for a family. Both bedrooms are tucked away in the back of the home, and each one surprisingly has its own bathroom! The front of the home is filled with light thanks to the expansive windows, and the open concept kitchen, living, and dining room features a cozy fireplace. A vaulted covered porch outside is the perfect place to enjoy a summer drink or a barbecue. This compact two bedroom home from Floorplans measures 745 square feet (69 square meters), and it's built on top of a garage designed to keep vehicle emissions out of the living space. 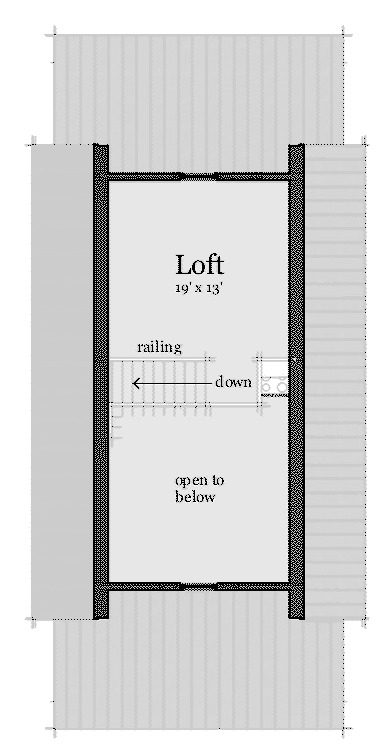 A covered entryway leads into a small foyer, which also provides access down to the garage. The hall opens into the living room, which in turn leads to the kitchen. 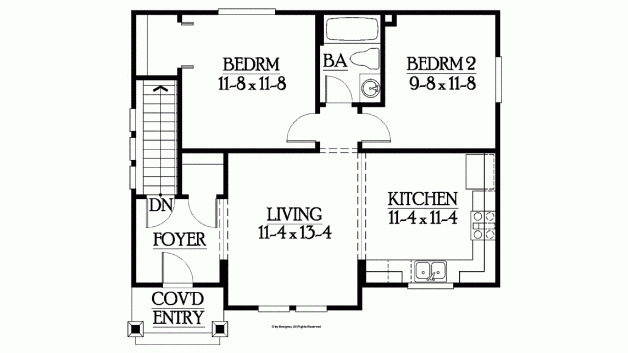 Both bedrooms are located at the back of the house, and they share access to a bathroom. Coming in at 364 square feet (34 meters), this home from Architectural Designs is somewhat reminiscent of a ship. 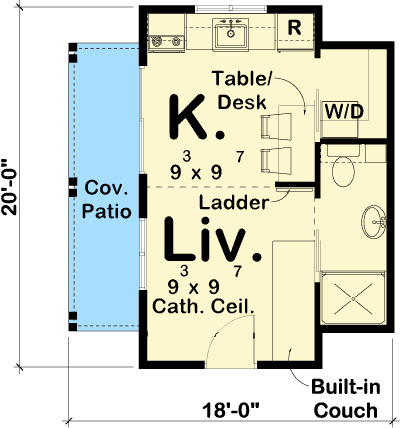 Enter the home through the living room, which includes a built-in couch. 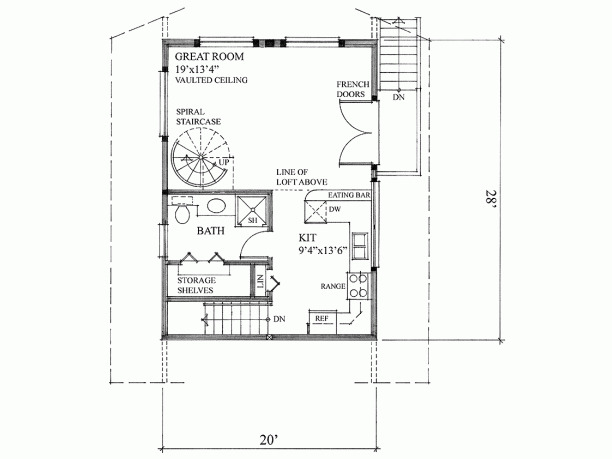 The living room is open to the kitchen, which in turn provides access to a laundry room. 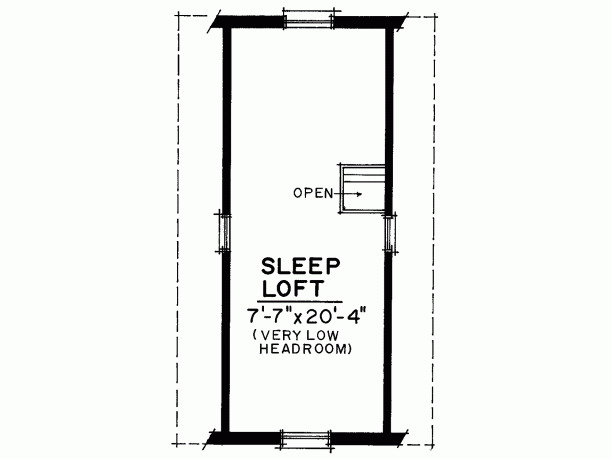 The sleeping loft is accessed by a ship's ladder, and it boasts a built-in wardrobe that makes storing clothes easy. 7. 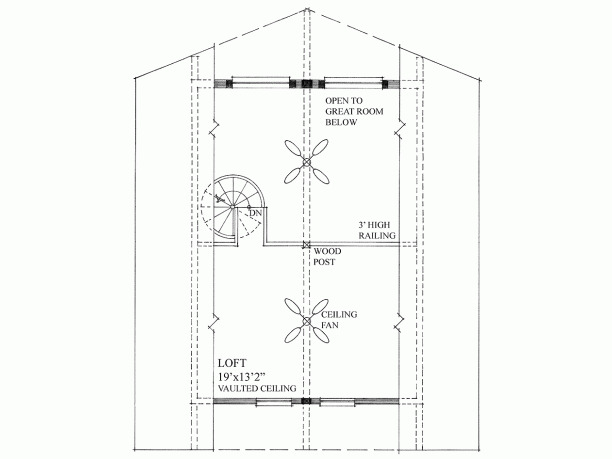 Micro cabin from ePlans. 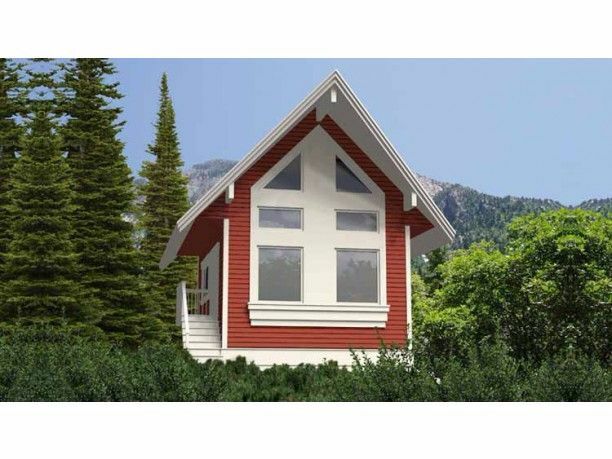 This tiny little cabin from ePlans measures only 242 square feet (22 square meters), and it features plenty of windows that make it great for a lot with a view. The guest room downstairs can be used for sleeping or turned into an open concept kitchen and living room. 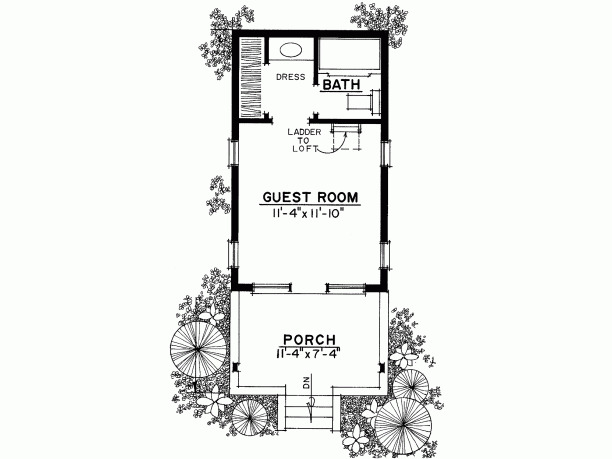 At the back of the house, you'll find a bathroom with a tub, a closet, and a convenient dressing room. 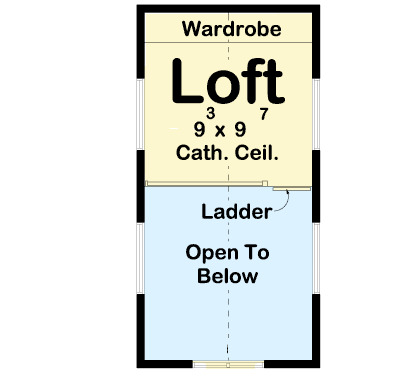 The upstairs sleeping loft can be accessed by a ladder, and it doesn't have much headroom.